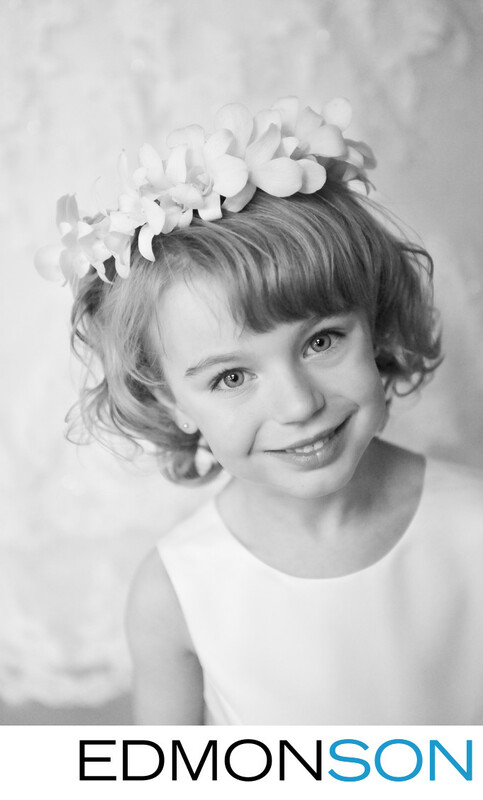 Cute flower girl waits for her turn to walk down the aisle at Trinity Bible Church in Richardson, TX. Location: Trinity Bible Church Richardson. 1/800; f/2.8; ISO 4000; 62.0 mm.